Salvatore Ferragamo embodies a combination of the longstanding, expert craftsmanship and creative tradition typical of Made in Italy goods. These are the factors of excellence that support that brand, and which have, over the years, evolved in line with its origins. Quality, contemporary elegance and innovation are the hallmarks of each Salvatore Ferragamo product and, together with a tradition of fine craftsmanship, create the value and authenticity for which the brand is universally recognised. The Group is constantly committed to consolidating and developing the value of its brand over time. In line with its historical values, Salvatore Ferragamo upholds high quality standards for its products and distribution processes, by investing in research, product innovation and IT technologies to support its business. Salvatore Ferragamo has always been ahead of its time. The brand's founder was not just a pioneer in terms of his creativity - the design and concept of many of the shoes he created still exemplify modernity - but also in terms of the innovative materials he used (he was the first to use cork, nylon fishing line and cellophane, straw and countless other modest materials to make shoes that became cult objects) and the way perceived the close tie between fashion and fi lm (he was already designing the first shoes for big Hollywood productions in 1920), as well as the way he focused his research to best achieve a combination of shape, fi t and comfort in a shoe, leading him to file over 350 patents. The company was also at the forefront of distribution and expansion on international markets, becoming one of the first Italian brands to reach out to the world, as it was already exporting to the US in the 1950s and to Japan by the end of the 1970s, and it opened the first Ferragamo brand store in China nearly twenty years ago, in 1994. Today, roughly 90% of Ferragamo Group turnover is generated abroad. This pioneer spirit and international vocation are trademarks of the company and, in terms of distribution, have enabled it to build a widespread network of stores, while pursuing well-balanced geographical diversification, making the most of this distinct pioneer approach on emerging markets. 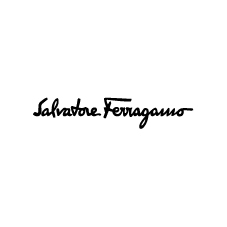 Salvatore Ferragamo is now present in over 90 countries around the world, with 606 exclusive Ferragamo brand stores. The primary aim of its distribution strategy is brand control, as it is positioned at the high end of the luxury segment, to uphold the brand's historical values and always ensure excellent customer service.